Our xCase for the Surface Go is built with mobility and ruggedness in mind. The Surface Go Rugged Case provides superior durability and protection, keeping your tablet safe out in the field or in the classroom. Shock absorbing material and a standard Snap mount protect the Surface Go throughout the day’s spills, bumps, and drops. The Go Case is currently not compatible with type cover, the aim is to remedy this is April. Please call us for future compatibility options. Engineered for enterprise productivity, the Rugged xCase is made to fit the Surface Go, provides unparalleled ROI durability and protection. Shock absorbing rubber corner bumpers along with a structurally rigid shell protect the Surface tablet throughout your daily operations. 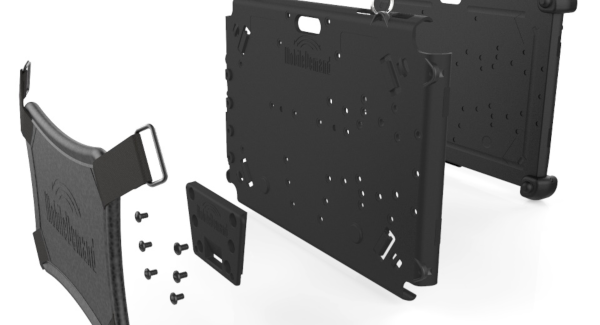 MIL-STD-810G tested for 6-foot drop means this case can handle even the toughest drops. The optional durable, full-range easel (kickstand) allows for the Microsoft tablet to be viewed at nearly any angle. The Surface Go laptop/tablet is transformed to an easy-to-carry device with the back hand strap and briefcase handle attachments which are included. We also offer a ready to deploy bundle including the Surface Go, our protective rugged case, a screen protector and asset tag all assembled for you by our boffins at MobileWorxs.